I shared last week that the greatest thing we can give ourselves for Mother’s Day whether it be to ourselves or to a partner is permission to care for ourselves. It really is and I believe that, but sometimes a physical gift to accompany such a thought and day is very nice as well to mark the occasion so I gathered up some beautiful, well-made, and useful things that most every woman I know would enjoy receiving. Whether you need ideas for Mother’s Day or if you have a friend who is about to celebrate their birthday these things will make any one feel extra special. That said, you can see some of my top picks below or you can head to our curated shop for even more ideas. Though I have to say, many of these items were chosen from one of our favorite sites, Huckberry. They have amazing items for home, outdoor living, and life. I highly suggest heading to check them out too as they carry many of the below products at great prices too! 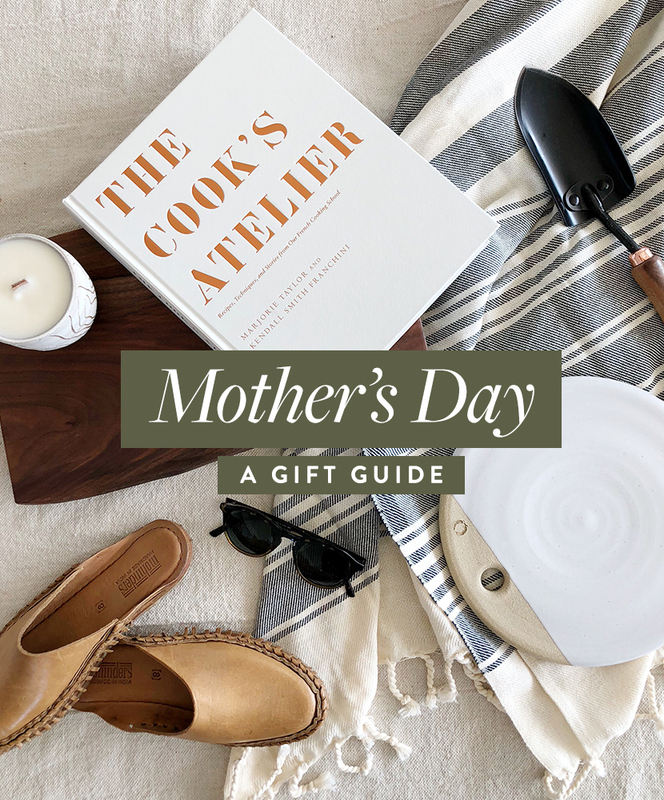 Happy Mother’s Day ladies and hope this list is helpful in finding a beautiful and meaningful gift. Shop the whole gift guide here within our shop as well to get more ideas.